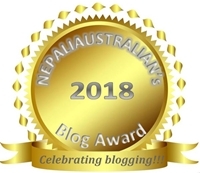 This entry was posted in Published and tagged australian, australian nepali, Blog Surf, daily papers, M from nepaliaustralian, Nepal, Nepali, nepali australian, Nepali blog, Nepaliaustralian, nepaliaustralian blog, Surf section, The Himalayan Times. Bookmark the permalink. And this 30 day idea is really cool. If you really really wanted it then it becomes an obsession after 30 days and you will really love what you bought. congratulations! 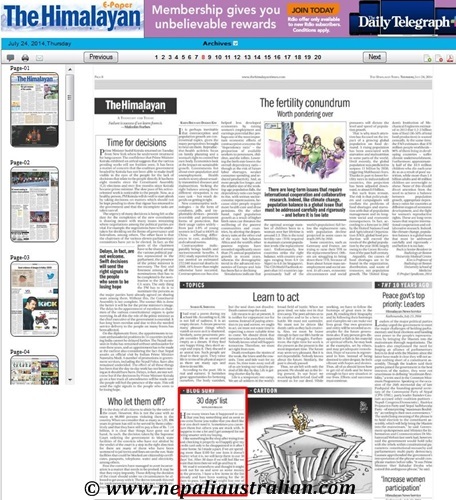 I think it’s great that your newspaper has a blog section. Ours only has the traditional ‘letters to the editor’, but they almost never print anything people send them. well done 🙂 How exciting.